Lisa graduated as a Physiotherapist in 2005 from the University of Hertfordshire in the UK and has gone on to work in the NHS, private practice and with various sports teams over the past 10 years. She has a wealth of experience in musculoskeletal physiotherapy, neuro rehabilitation and sports injuries. Her sports experience has included providing physiotherapy for the 2012 Paralympic Games, providing physiotherapy at various British Universities and Colleges (BUCs) Events including the national swimming Championships, Lacrosse and rugby events. 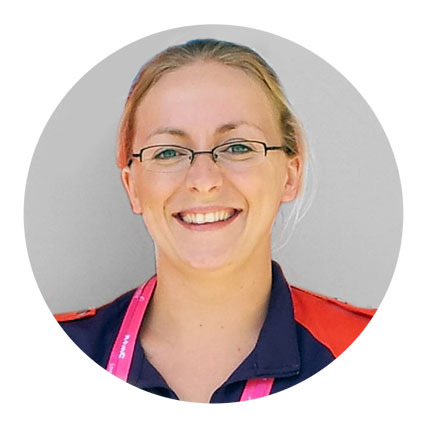 She has also worked as the team physiotherapist for the Great Britain Junior Ultimate Frisbee Teams during their European championships in Poland in 2011 and for 3 seasons she was the First team physiotherapist for her local Rugby Club before emigrating to Australia in 2015. Now living in Northern NSW in Australia, she has opened her own clinic in Pottsville, NSW and enjoys teaching a range of Pilates classes from Beginners through to Pregnancy and Postnatal Pilates. She completed her APPI training and certification in the UK and has been teaching Pilates for almost 4 years.